I’m pretty sure that you drag & drop a lot, don’t you? Have you ever wondered how long it has been since you started dragging & dropping? 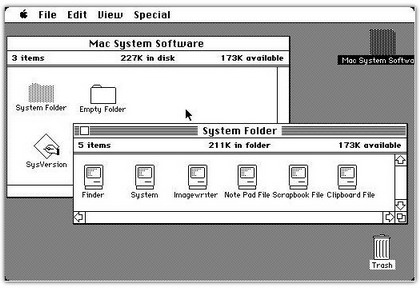 Well, depending on how old you are, you could have actually started back in 1984 with the release of the original Macintosh! Yes, drag & drop has been with us for a while now and we’ve grown accustomed to its convenience and how it simply makes life easier. Retrospective puts this old invention to very good use, making the management and modification of your different data sources much easier. When dragging & dropping it’s obvious that the results of the action depend on what you drag and where you drop it. When, for example, you drag a file from a local file system and drop it on the opened search or tail tab, Retrospective will automatically create a new profile and select that new profile for you. The same will happen if you drop a local file onto the User profile area in the Source tab. 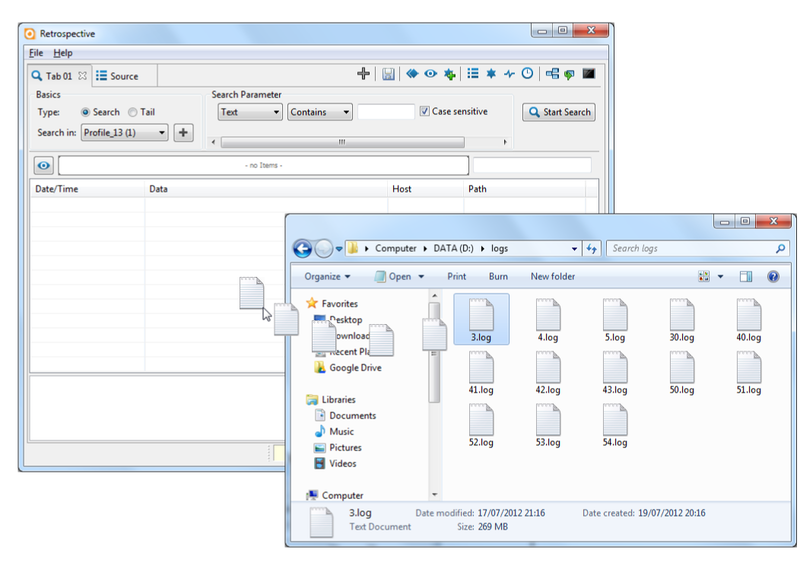 If you have your Source tab open and a particular profile already selected from the User profiles list, and then you drag and drop a log file onto the Sources area, this file will simply be added as another data source definition within that profile. Doing the very same with any of the System profiles selected will result in a new user profile with log definition. What if we have our profiles all set and we decide to copy some files to a new profile? You’d think that you’d have to browse the file system looking for those files again? Well, not at all! You can simply create a new profile and then drag those log definitions from the old profile onto the newly created entry in the User Profiles section and possibly delete the entry from the other profile if it’s no longer needed there. When dragging and dropping an existing log definition, Retrospective not only creates a new log definition in the new profile but also copies the configuration, so you don’t have to copy-paste the configuration or configure that source all over again. This isn’t the only case where dragging & dropping is useful. Imagine you’re a system administrator and you have to supervise a server farm with several machines running a similar configuration for either load balancing or failover purposes. In such cases you have the same files stored in the same place on each server and obviously you want to search or tail all of them. No, you don’t have to add each and every file manually. You simply drag & drop log definitions from one profile to another and you’re done. And you do the same thing every time you add a new machine or change the configuration and you have to follow more data sources.